I saw the promoted tweet last night. "Are you expecting? Questions about food? @CanIEatThisBot has tips from the FDA and Mayo Clinic." But when I started asking questions, things got weird. Spoiler: It lies. First, I asked it about deli meat, which can carry listeria so pregnant women are advised to steer clear unless it's been cooked. The bot said as much, but then added that you should also avoid deli meats unless they "do not contain nitrites or nitrates". Wait, what? There's no special concern about nitrites or nitrates in pregnancy. (They're probably fine for everyone else, too.) What else is this bot telling people? A lot of garbage, it turns out. It said eggplants "contain large amounts of phytohormones which can stimulate menstruation when consumed daily". This is not a thing. And when I asked it about mushrooms, it told me "Haaayyyllll naw ?...Raw mushrooms are also a big no since they are carcinogenic". Also not a thing. I asked about the eggplant and mushroom garbage (in more neutral terms) and de Soto admitted they used MomJunction, an Indian parenting website, for those "more specific foods". MomJunction does not cite any sources, and the articles themselves are a mess; the one on eggplants is actually titled 7 Health Benefits of Eating Eggplant During Pregnancy and says that it prevents birth defects but has a "side effect" of miscarriage. Don't rely on this bot for any advice in pregnancy. It wants you to ask it about oysters but doesn't mention that the actual FDA says raw oysters are risky. It gives a dismissive, unhelpful answer if you ask it about beer or wine. It is, in short, very bad at its job. 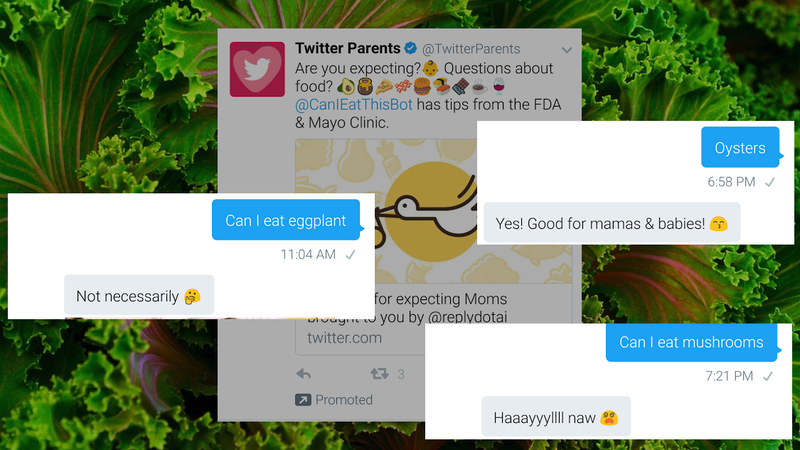 So why would anybody build a bot to educate pregnant women on nutrition, and feed that bot unsourced, unhelpful information? Why wouldn't you at least run it by a nutritionist or some kind of knowledgeable health professional? Why would you claim you're getting information from the FDA and then say the opposite of what the FDA says? "We're a technology company, not pregnancy experts," de Soto told me on the phone. She confirmed that they didn't involve any health professionals in making the bot, although the co-founder's doctor told her not to eat eggplant. They didn't decide on any guidelines for what counted as a reputable source, either, and figured something was fair game to include if it turned up on multiple websites in a google search. After I voiced concerns about accuracy, de Soto said she'd ask the team to put a disclaimer on the answer about eggplant. Our impetus for making the bot is because we still see a big gap between consumers understanding what bots are, how to use them, and how to get value from them (for instance, my dad still thinks bots are the reason Hamilton tickets are so expensive!). 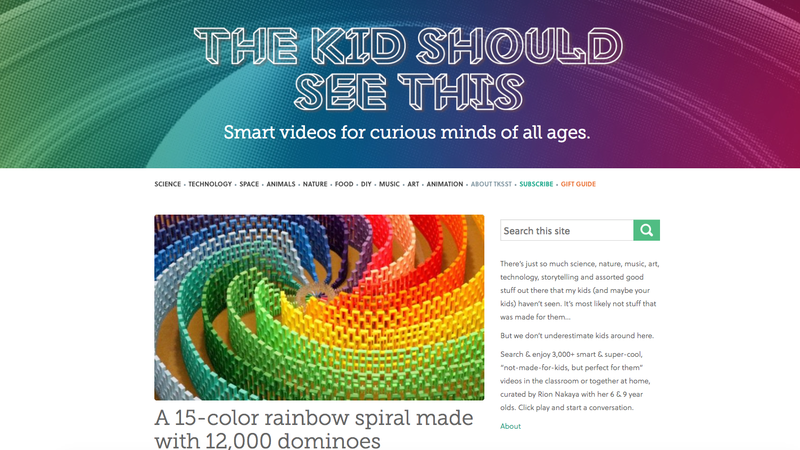 We feel "Botifying" a useful knowledge base like this helps to bridge that gap. Way to take advantage of pregnant women in your eagerness to sell bots, reply.ai. Would you think it's OK to build a customer service bot that tells people the opposite of what's in company policy? Probably not, because money would be at stake, not something unimportant like a person's health, right? I'll just be over here counting all the ways companies prey on parents' (and especially women's) insecurities about their kids for a quick buck. PS. Here are the real answers pregnant women want when they ask "Can I eat this?" You could probably even make a bot to tell people all about them.